Valentine’s Day is quickly approaching! Is your significant other a dog lover? Do you have a pup at home that is part of your family? If you answered yes to either of those questions, this gift guide is for you! Check out the top gifts for your partner in crime this Valentine’s Day! 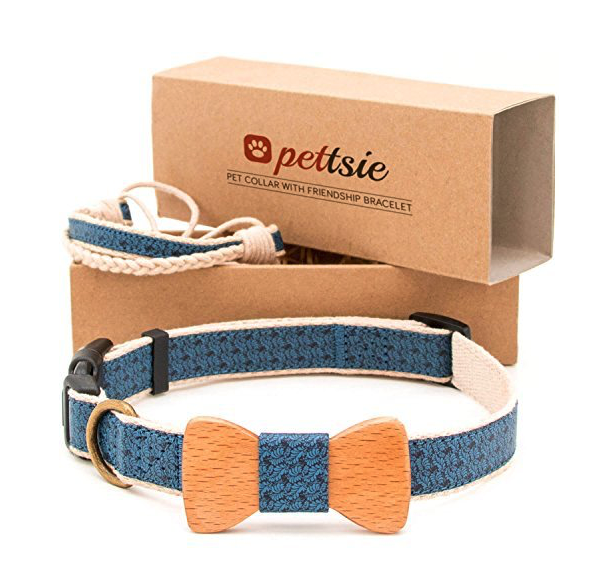 This adorable dog collar from Pettsie comes with a matching friendship bracelet for the pup’s owner! The lightweight collar is made with durable hemp and canvas and the bracelet is made of soft cotton. The collar comes in three sizes and costs about $20. CanvasPop creates “museum quality” canvas prints with professional printing technology. They are laminated and stretched by hand! Get a canvas print of your pup to warm your love’s heart. 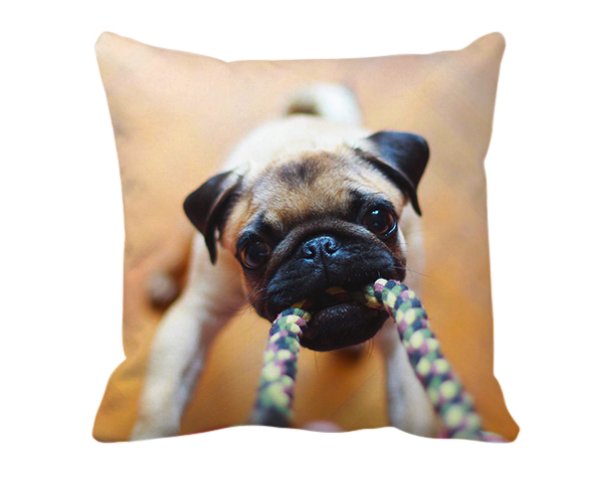 You can even get your pup printed on a pillow! This treat tossing device is also a camera! 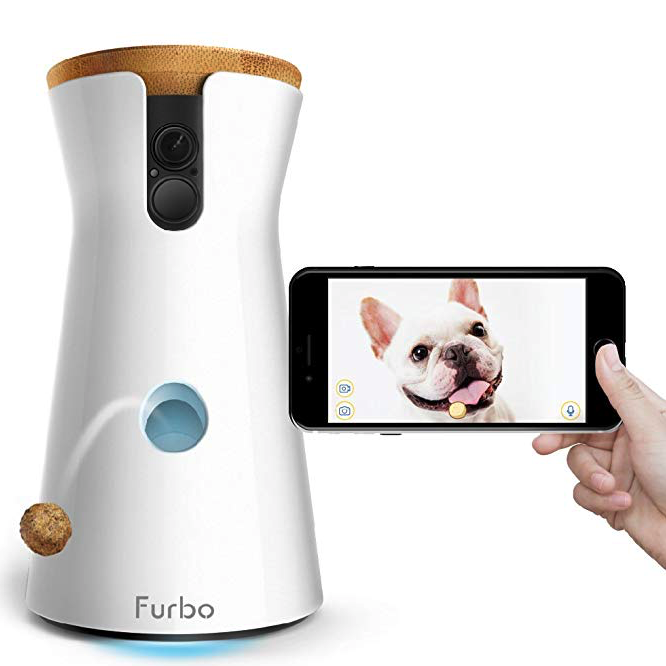 The HD camera has night vision and allows you to live stream to your phone so you can see what your furry friend is up to while you’re out. It also features two-way chat and a barking alert so your pup can get in touch with you and vice versa. The setup is only three steps and you’ll be on your way to constant contact with your best friend! This puptastic gift set comes with 12 ounces of ground Roll Over Breakfast Blend coffee and Drool Brand handmade peanut butter dog treats. For every bag purchased, the company donates to a shelter dog in need. 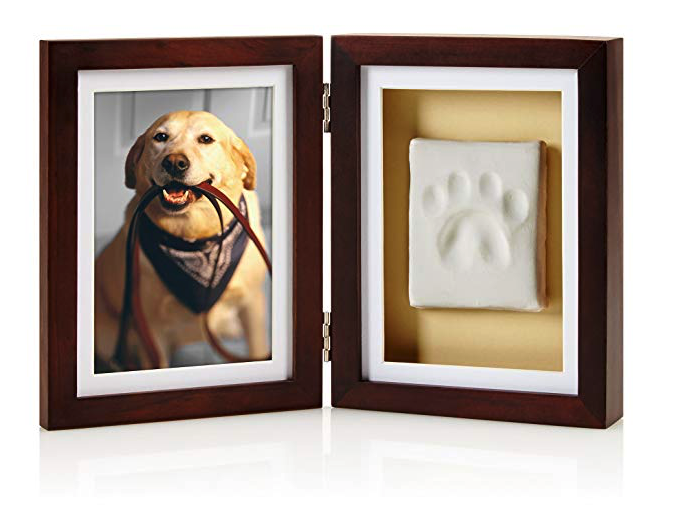 Create an impression of your pup’s paw and then frame it next to a photo of your furry friend. This keepsake is perfect for any pet lover and will last forever. The impression is easy to do with the no mess impression material, rolling pin, and clay shaping ruler. The frame measures 12.06″x7.88″x1.56″ and stands on its own to display on a desktop or table. 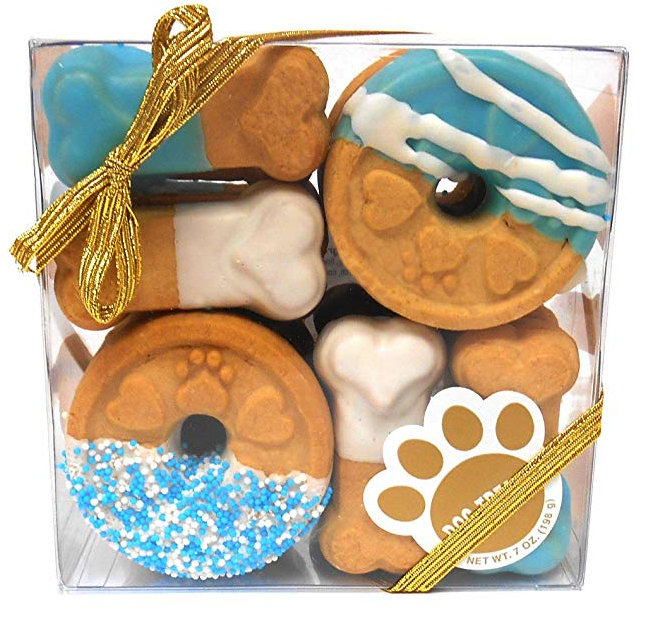 This adorable gift box is filled with delicious dog treats that your pup will love! The cookies are made with 100 percent USA human-grade ingredients and do not include any preservatives, animal by-products, or fillers. 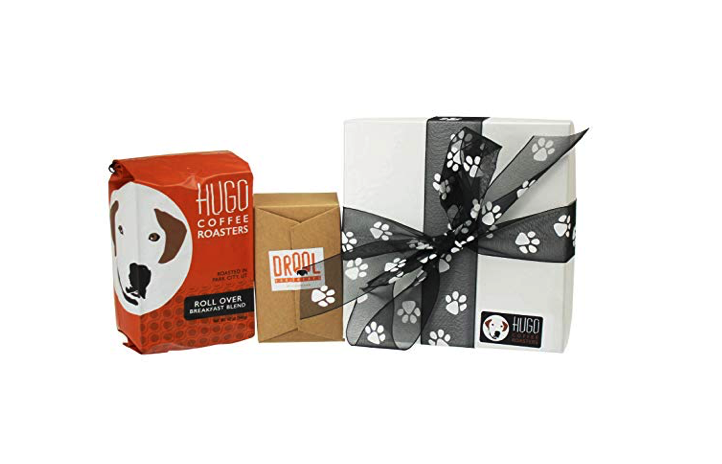 The 7-ounce assortment would be a great gift for any dog lover that loves to please their pet. 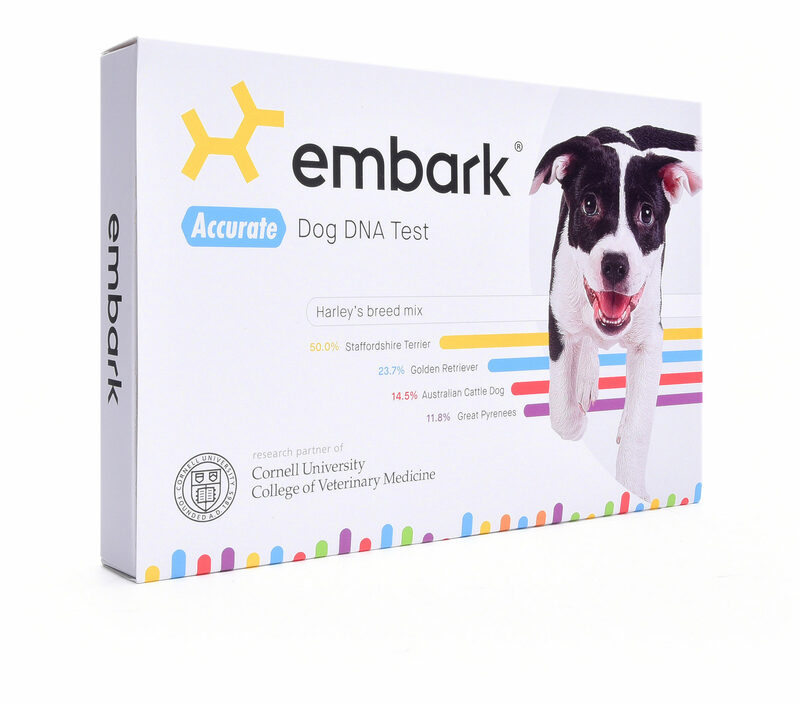 An Embark Dog DNA Test enables a pet owner to learn about their pup’s breed, health, ancestry, traits, and even relatives! Get to know your dog better than ever before with a simple cheek swab! Click here to order and use the code VDAY20 to get $20 off! For the last decade, Ashley has been honing her skills as a multimedia content creator, including working in live television for a top 10 market station. She is now the Communications Manager at Embark Vet and lives in the Boston area with her dog-like cat, Cody.